section play an important role in scoring.Current affairs updates till 23 July 2015 are given.Updates on 21st July ,22nd July and 23rd July are covered. 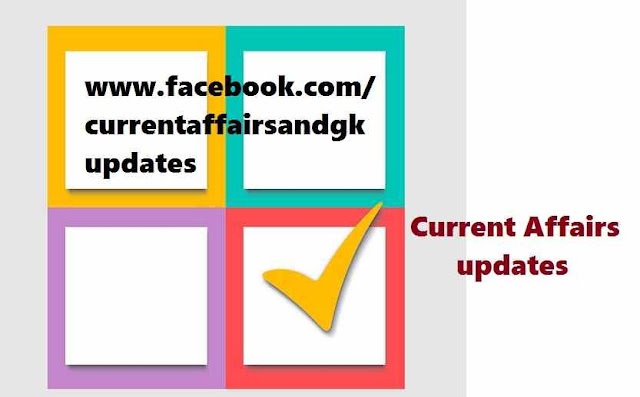 These updates are very useful for upcoming exams like SSC (Staff Selection Commission),RBI Recruitment,RRB (Railway Recruitment Board) , IBPS,Postal,Insurance and other State level Recruitment Tests. 1.Toshiba's Chief Executive resigned to take responsibility for doctored books that inflated profits at the Japanese Technology manufacturer by ($1.2 billion). 2.NDB(New Development Bank), a new International Bank backed by BRICS Nations (Brazil,Russia,India,China and SA) opened in China's Commercial hub Shanghai. 3.Miliand Soman,a Model-actor (Bollywood) has won the Iron man title at a Triathlon held in Zurich in Switzerland. 4.Triathlon , which is organised by World Triathlon Corporation includes 3.8 km Swim, 180.2 km Cycle ride and 42.2 km Run. 5.British Parliament to honour Major Dhyanchand with "Bharat Gaurav" Award. Dhyanchand's son Ashok Chand will receive the award on behalf of his father at the House of Commons. 6.Reliance Industries,Tata Motors,Indian oil,State Bank of India, Bharat Petroleum,Hindustan Petroleum and ONGC (Oil and Natural Gas Corporation) are among World's 500 largest companies , according to a list compiled by Fortune. 7.Professor Peter Higgs received World's oldest scientific prize,the Royal Society's Copley Medal for his work on the theory of the Higgs boson. The Copley medal was first awarded by Royal Society in 1731. 8.KV Kamath,President of NDB(New Development Bank)-expects that the first loan to be approved in April 2016 in Chinese Currency Renminbi.